Your body’s immune system and its role in cancer prevention really doesn’t get the attention it deserves in the prevailing paradigm of allopathic medicine. You’d be hard-pressed to find a conventional doctor or medical expert who’s willing or knowledgeable enough to talk about natural immunity in the context of keeping your body free of cancer. At least not to the full extent of its true capacity. And yet this information is vitally important. 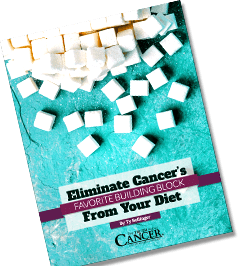 In fact, it just might be the most overlooked facet of cancer prevention that’s not being talked about by the conventional medical system today. Assuming you’re getting all the nutrients you need from food and supplements (and your body is effectively flushing waste and toxins as it’s supposed to), your immune system should be fully equipped on its own to naturally thwart cancer from ever taking hold. So why isn’t this the case for the tens of thousands of Americans who are diagnosed with cancer every year? The answer could lie in an underestimated component of your immune system that’s only just beginning to break the mainstream mold of thinking on this imperative issue: gut microflora. 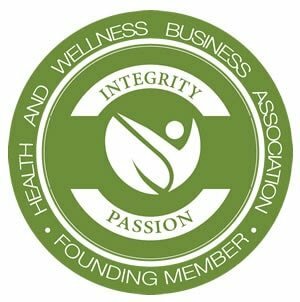 Beneficial Gut Bacteria and Immunity: Are You Protected? Inside your intestinal tract live countless trillions of diverse microorganisms that help you properly digest food and protect your body against harmful bacteria. This beneficial bacterial “ecosystem,” so to speak, is often referred to in the scientific literature as the human microbiome. A healthy gut serves an important role in both disease remediation and prevention. A 2011 study published in the journal Expert Review of Anti-infective Therapy explains in further detail how the human body relies on a healthy microbiome to combat infectious agents. This microbiome works in synergy with the rest of the body’s immune system to prevent disease. This means these tiny microorganisms meld with your very being in a coordinated effort to maintain homeostasis, or a healthy state of balance and stability. But there are many things that can interfere with the proper function of your microbiome. These include poor diet (processed foods are compositionally “dead” and lack the enzymes and living bacteria necessary for microbiome health), environmental pollution, chronic stress, lack of sleep, and pharmaceutical drugs like antibiotics. Antibiotics, you should know, kill off not only harmful pathogens but also the good bacteria that your body relies on for proper immune function. When a person’s gut microbiome becomes damaged or is otherwise thrown out of balance, conditions are ripe for disease formation. With cancer specifically, science is now uncovering how a compromised microbiome can unleash a cascade of system failures throughout the body that, in many cases, leads to tumor growth and full-blown cancer. Unpacking this systemic breakdown in further detail, a study published earlier this year in the journal Science Translational Medicine fleshes out how dysbiosis, or the failure of the microbiome to sync up with the rest of the immune system, can lead to cancer formation, or carcinogenesis. The paper explains how epidemiological studies have pinned microbiome damage as a major risk factor in cancer development. Intestinal dysbiosis, the researchers found, can trigger an inflammatory response in the gastrointestinal (GI) tract that, if left unaddressed, can lead to gut diseases such as Crohn’s disease or colorectal cancer. 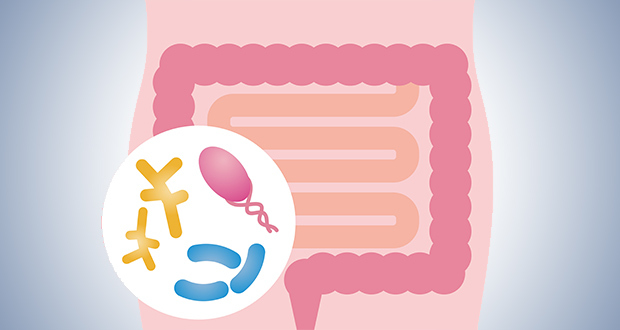 Gastrointestinal microbiota help protect the intestinal lining and serve as gatekeepers. They allow nutrients into the bloodstream while blocking disease-causing pathogens and toxins from passing through. So it only makes sense that a microbiome failure is nothing short of catastrophic as far as the intestinal tract is concerned. Gut dysbiosis has also been linked to many other forms of cancer as well, including cancers of the breast and liver. The various inflammatory responses generated by gut dysbiosis appear to be systemic in nature. This means they affect a range of systems throughout the body − both intestinally and extra-intestinally. The intimate relationship between gut microbiota and the immune system is admittedly complex. 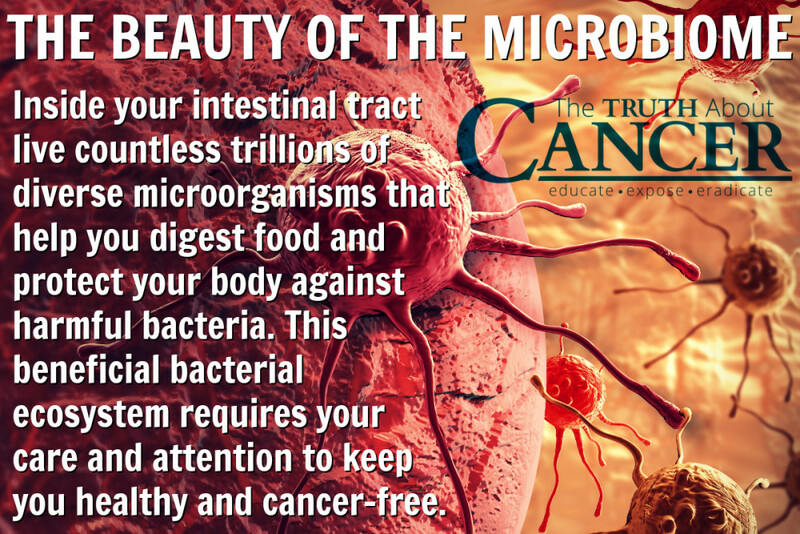 But it can be summed up like this: in order for your immune system to effectively fight and prevent cancer, your microbiome must be in tip-top shape at all times. And the best way you can ensure a healthy gut, besides avoiding the exposures that threaten its integrity, is to seek out foods and supplements that will help enrich it. You may have heard the term probiotics before. This class of nutritive, living organisms is finally gaining national attention for its role in improving digestive health and boosting immunity. Probiotics are what so-called “living” foods, or foods that haven’t been “killed” through processing, often contain in their natural states. Probiotics are also found in foods like fermented dairy (yogurt, kefir), cultured vegetables (sauerkraut, kimchi), real sourdough bread (made from living starter), and even pickles (made the traditional way). These organisms are what make these foods highly nutritious and easily digestible. Perhaps you weren’t aware, but probiotics hail from the same category of “good” bacteria as what naturally lives in your microbiome. 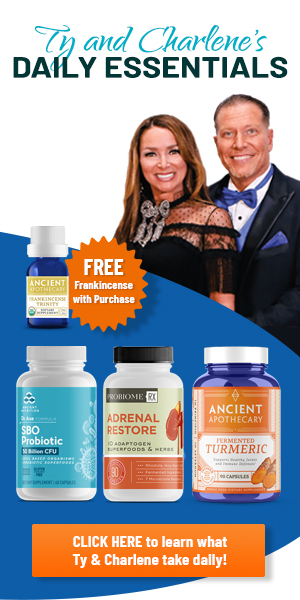 They’re exactly what your body needs to replenish all the beneficial bacteria that’s been damaged or that’s missing − providing the boost your immune system needs to thwart disease. Cultured or fermented foods are rich in cancer-fighting probiotics, and they also contain what’s known as lactic acid bacteria. This is a type of probiotic that studies have shown offers specific protective benefits against cancer. A 2010 study published in the International Journal of Food Sciences and Nutrition explains how lactic acid bacteria and its so-called “probioactive cellular substances” release enzymes into the gut that exert definitive anti-tumor effects. Other studies, including a 2013 paper published in the Indian Journal of Medical Research, pinpoint specific probiotic strains like Lactobacillus casei as a science-based immunomodulatory mechanism that helps protect the body against many types of cancer and other diseases. Lactobacillus casei is one of the most popular probiotics available to consumers. 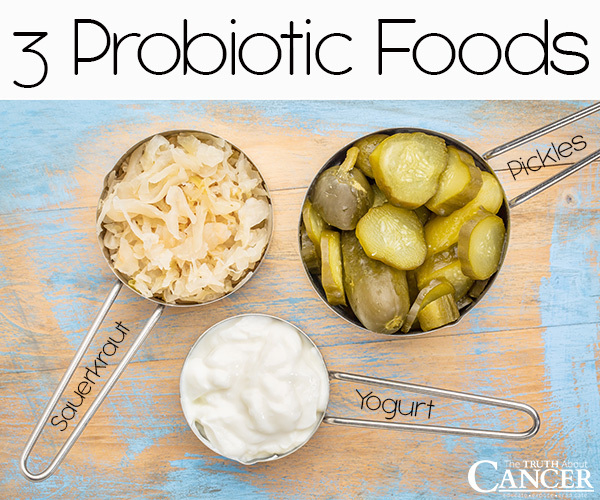 No matter how you look at it, probiotics are essential in any anti-cancer regimen and for a healthy gut. If you’re not already taking them, or consuming foods like yogurt that naturally contain them, you should probably start. Probiotics are just one piece of the anti-cancer puzzle, but as you’ll learn through reading the information I’m sharing with you through this site, they’re a very critical piece that your body simply can’t do without. Gut microflora are an underestimated component of your immune system that’s starting to get more attention. Inside your intestinal tract live countless trillions of diverse microorganisms that help you properly digest food and protect your body against harmful bacteria. This beneficial bacterial “ecosystem” is often referred to as the human microbiome. In order for your immune system to effectively fight and prevent cancer and other disease, your microbiome must be in tip-top shape at all times. The best way you can ensure a healthy gut (besides avoiding the exposures such as antibiotics that harm it), is to seek out foods and supplements that will help enrich it. Probiotics can be purchased as supplements and are also found in foods like fermented dairy, cultured vegetables, real sourdough bread, and even some pickles. Probiotics hail from the same category of “good” bacteria as what naturally lives in your microbiome. Your body needs these good bacteria to replenish all the beneficial bacteria that’s been damaged or that’s missing. Specific probiotic strains like Lactobacillus casei help protect the body against many types of cancer and other diseases. Lactobacillus casei is one of the most popular probiotics available to consumers. What can I take so I would have regular bowl movements. I do have a hernia, that Dr. doesn’t seem concerned. I very seldom get the urge to have a movement. What is your medical and surgical history? What do you consider a ‘regular’ bowel movement? How often do you have a bowel movement? What does you stool look like? Are you properly hydrated? How much water do you drink (not including juice, pop, caffeine)? What kind of hernia? There are several different types. Go see a naturopath, they know how to do an in depth evaluation. Take probiotics, but you need to make sure to take a therapeutic dose (something I did not see discussed in Ty’s info) and a good quality source, ie. They should be stored in the fridge. Try juicing, some people find that works well, beets can work wonders. Drink lots of water, but be careful if you have any congestive heart or kidney issues that require decreased fluid intake. Some people take over the counter laxatives but I know lots of people who have had horrible side effects and permanent bowel issues as a result of the same. Exercise every day! Some people find running to be a natural laxative and any abdominal work helps to move stool in the bowels as well. Massage your abdomen in a clockwise motion. Sit on the toilet at the same time every day and try. I learned in China to use a footstool when sitting to go to the bathroom. rest your feet on footstool. It elevates your insides to mimic squatting. It works. I also sit and drink a glass of water. and dried figs help also. 2-3 a night when you are having a problem. Eleanor, this is a very very late reply but I am really wondering if you do not have parasites. Don’t freak out every person even in the US has parasites. They know how to manipulate the immhne sysrem for their benefit. They kill thousands and doctors are compcompletely useless except for mostly chiropractic doctors. I have had problems for 22 years and eve had cancer. In 2010 I was given a rectal bowel prolapse repair very reluctantly. In 2011 I fiscoveredI had the worst possible parasites In My liver, spleen and pancreas. They do NOT show up in stool mostly and only one percent of parasites are found in stool samples. I am lising my life because the surgeon did not know what caused my prolaose and stapkedggese things and believe me ggeee are millions into my mucosa. I had worked do hard to have a functional bowel and done EVERYTHING suggested by everyone and had every medical test in the book. 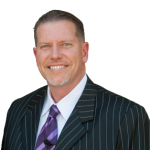 Go to drjaydavidson.com or drtodd watts.com Both are absolute experts. I hope this is not goo late and that you resolve your problem. Believe me I know all about your issues. Ty, I am curious about what can help someone that has an auto immune disease. When their own immune system attacks itself the doctors prescribe medications to suppress the bodies natural immune system. It seems the strengthening it would hurt. I agree and take up-to a tsp of Epsom salts most nights. It helps my muscles to relax (no twitching of legs), relief from embarrassing gas and have regular bowl movements. 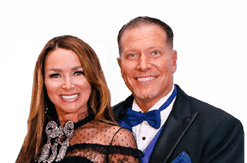 I first heard of Ty on Coast to Coast, as one of their wonderful informative guests. Sauerkraut. I found it suggested in the GAPS diet book. I googled it and found it referenced elsewhere too. Try vegetable juicing– it does wonders! Same day. and it worked like a charm for constipation! I started using some amazing natural supplements. The products focus on 3 area: blood sugar balance, gut health and inflammation. They have literally changed my health. My blood sugar is now balanced, the stress has decreased, the inflammation went down. My gut is healthy, I am now going to the bathroom twice a day every day and I feel amazing! Happy, energized and healthy! A probiotic is so important for general health of your body. But just adding a good probiotic isn’t enough. Because of the American diet most of our guts are over ridden with bad yeast. This bad yeast feeds off sugar and processed foods and secretes toxic waste that seeps to our other organs and our joins and can cause a plethora of ailments. The probiotic my company provides is the only one that has an anti-fungal and digestive enzymes that help breakdown the exoskeleton of the bad yeast and kill it off. We pair that with a BioCleanse that gently helps flush all the toxins out of your system. Without this anti-fungal just taking a probiotic is like sending more and more troops to war without any weapons and hoping that their good influence will rub off on the enemy. You should have 80% good bacteria and 20% yeast but for many people those numbers are flip flopped. So you would have to take a lot of probiotics to swing the numbers in the right direction without also killing off the yeast. Message me if you have any questions! Can you please tell me the name of the product you mention above? Plus, where to get it. I am using Plexus products- you can email me at suzjones13@gmail.com and I can send you more information! No thanks, just read the reviews on the weight loss product and there has been no real testing on these products, just another MLM. Been there done that! Hahahahaha! Reviews? Don’t read reviews, do the proper research. Anyone can write a review, make things up, and say what they like. People make things up all of the time. Everyone is different! I checked the site out and it didn’t state whether it was vegan or not but it stated it was gluten free. Ok Suzanne, what is your product? Read your reply. What is the name of the probiotic your company provides that has the anti-fungal and digestive enzymes that help breakdown the exaskeleton on the bad yeast and kills it off please? In thruth About Cancer series, a director of the Center of New Medicine mention a particular bacteria which is present in yogurt only if you make it yourself using a starter. Which bacteria was she talking about and what exactly does it do? Thank you.  There is excellent information. Apart from all this in summary form what would you advise us to maintain, as it says and well … “The delicately balanced ecosystem that resides in your gut works both as a cure and a preventative measure … a few examples please. Thank you very much. Best regards to the forum. I have frequent bouts of nausea and have had tests but they can’t find anything. I had ulcers about five years ago but they have been healed. I’ve had scopes done and they found a lot of acid in my stomach. I’ve been drinking alkaline water but nothing has changed. Any advice? Cancer is a metabolic disorder. It is part of the natural biological processes at the end stages of cell life. It is the mechanism that Nature utilizes to return organic matter back into its individual components. Lymph stasis combines with inadequate nutrition cause a putrefaction to occur in the circulating body fluids causing a reduction in oxygen absorption. In areas where lymphatic circulation is poor, cells will either die or they will shift their metabolism from burning fats to sugars. The sugars ferment and attract pleomorphic organisms to shift in their life cycles from yeasts to fungi. It is the fungal stage that causes malignancy of previously benign tissue. The ONLY way to cure cancer is to return the body to homeostasis. Acid/base balance must be restored, adequate nutrition provided and lymphatic fluid flow rates must be restored to normal. Cancer will go away never to return. This is a disease of modern civilization. Heredity has little to do with it. Research into the genetic makeup of cells is moot. The normal cells become diseased due to their environment. How the cell malfunctions as a result of external forces acting upon it will not result in a long-standing cure. Diet is the key! I have started drinking Chia tea. Is this a goog tea? So many Americans do not understand the importance of eating fermented/cultured foods, nor how/when to consume them. a spoon-full of a fermented food – especially fermented vegetables – should be an accompaniment for each meal, That’s not much and so easy to do. I like fermented onion or fermented beets; others like kimchi or sauerkraut. Fermented fruits are also good for you, but if you make them yourself, they can easily ferment to alcohol rather than healthful acids. Many Americans are learning to love yogurt, but commercial yogurts that include fruit are often too sugary to do much good (they do more harm than good). Instead, use plain yogurt and add your own fresh fruit like berries when you serve it. All cancer patients suffer from hypothyroidism. Low basal temperature causes incomplete digestion of food in the small intestine. Gut microbes arise to the occasion and become the scavengers that devour necrotic rotting material. Pleomorphic organisms we carry within our bodies change shape and function and arrive as yeasts and fungi in order to breakdown rotting foods. The fungi ramify (plunge) into the gut wall poking holes in the membrane allowing leakage of toxins into the intracellular spaces occupied with lymphatic fluid. As the lymph circulates it tends to pool in areas of poor through flow, namely in the breasts of women and in the prostates of men. Tumors form so as to encapsulate the noxious materials in an attempt to prevent the spread of the toxins which otherwise would induce sepsis and poison the blood supply even further than it already is. The tumor is actually a protection mechanism which is identical in every way to a placenta. Removing a tumor is foolish and should never be done unless it is interfering with a critical body function. Food feels like it’s undigested sitting rotting my stomach??? Is it really necessary to take probiotics if you follow a very strict plant based diet 100% of the time (No animal products – except for an occasional egg from free range, cage free chickens – no dairy, fish, or processed foods)? I have been doing this for about 4 months, after having a total hysterectomy for uterine cancer, and intend to keep it up. Cancer, at this point is not showing up anywhere else, but I’m trying to do everything I can to keep it from coming back somewhere else. I take Turmeric supplements, plus use it in cooking, use other supplements too, plus essential oils, exercise, and eat every cancer fighting food I can get my hands on. It’s about to break the bank, but I don’t want it coming back! I just don’t know how to tell if I really need the probiotics on top of all that. Money is short. In the Article on this page they listed sauerkraut (sugar free) and pickles as two food sources of probiotics. Both are relatively cheap. You can get a huge jar of sauerkraut from the International Isle in the supermarkets for under $4 and it lasts months. Just put a bit on your sandwich or salad. 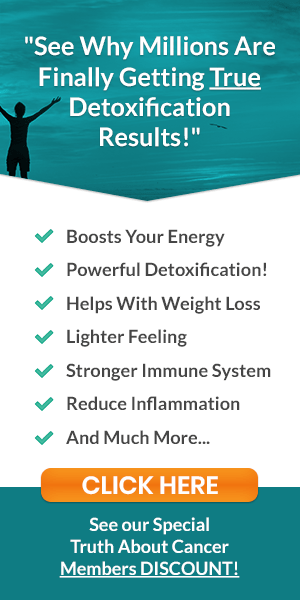 Yes it is very important to keep the entire gut clean of debris, parasites, and pathogens in order to maintain proper or abundant probiotic levels, and yes herbs like Oregano, Milled Flaxseed, and Prebiotics are very important in this. But there is yet another nutrient that I have been having profound results taken with probiotics and it is Colostrum. Evidently Probiotics + Colostrum + Vit-D combine to create GcMAF which inhibits Nagalase which allows the powerful Macrophages to gobble up cancer cells. Cancer itself as well as viruses allow the production of Nagalse which woefully antagonizes GcMAF production which allows the growth & spread of cancer. The recent REELZ channel pathologist report of George Harrison’s major loss in the cancer battle, attributed early childhood illness plus an unhealthy diet & lifestyle during the prime yrs as the leading causes, mentioning the possibility of Hepatitis Virus. Any of the Hep Viruses are, IMHO, a major cause in Nagalase production/macrophage inhibition leading to terminal cancers. Very good information, if only we could get more people to believe lt, and change their ways. Keep up the good work. God bless you richly. What about my dogs? What should I do for them? I constantly have a burning tongue syndrome,. I don’t know if it is coming from my gut or not but no matter what I eat it burns.. i have been told the nerves in my tongue are damaged:. I stay away from all spices and eat nothing that is acidic.. I need help this has been going on for way to long a couple of years for sure with very little relief. If sourdough bread has been cooked properly, ALL microbes are killed by the heat. The best that can said for sourdough is that it somewhat disarms harmful ingredients such lectins and mutes the somewhat the effects of gluten. The above-named agents are not fully broken down by heat. i have got her on 1000mg vitimin c absorbic acid tablets i tried l-absorbic powder but she couldnt stomach it also turmeric 250mg tablets and vitimin d3 25ug and have tried her on frankensence and turmeric essential oils rubbing them the affected areas on her hands [knuckles] and she doesnt seem to be getting any better,please help me try and make her better thank you !! Try an essential oil diffuser with one or two of the theraputic grade oilssuitable for clearing up the lungs (alternating them) . In Australia some of the Health Food shops sell difusers, and Young Living sell good quality essential oils. You can also buy cheap diffusers on line from China- not sure which ones are the best. The oils will do her good, hope she is feeling better soon. Hi Michael, regarding chest problems; I have copd/asthma and had the 8 a day steroids and use 3 different inhalers daily, but to no avail. I happened upon a substance called Mullein leaves, which I make tea with. I haven’t used my inhalers for months since drinking this tea and the phlegm has decreased to hardly any. I am not saying this is a cure for everyone, but it works for me. I make the tea in a cafeteria because it has a fine mesh filter and is big enough to make 2 mugs of tea. I put 2 heaped tablespoons in the caf and pour boiling water (not from the tap) at night and leave it to brew overnight. Drink 1st mug before anything else in the morning and 2nd mug as final drink before bedtime – make a fresh brew before retiring to bed, ready for tomorrow. Mullein leaves are very cheap and mine are from Egypt, bought on ebay. To make it more pleasant to take, I sweeten it with raw honey. Don’t forget to filter it. Just buy a 100gram bag to start with. There’s enough in that to see if there’s a difference for your wife. I don’t like advising people what to do or not to do regarding health but I would look at taking Lugol’s Iodine (google it and find out for yourself)… for both of you. The majority of Probiotic bacteria that sold CANNOT survived through the stomach acid!!! Stomach acid is designed to KILL BACTERIA!!!. So, all the fermented food and probiotic are hype!! !, Only bacteria that can survived the acid trip is Bacillus species, which are soil bacteria who can form a ‘SPORE” protective capsule against, acid, heat, etc.